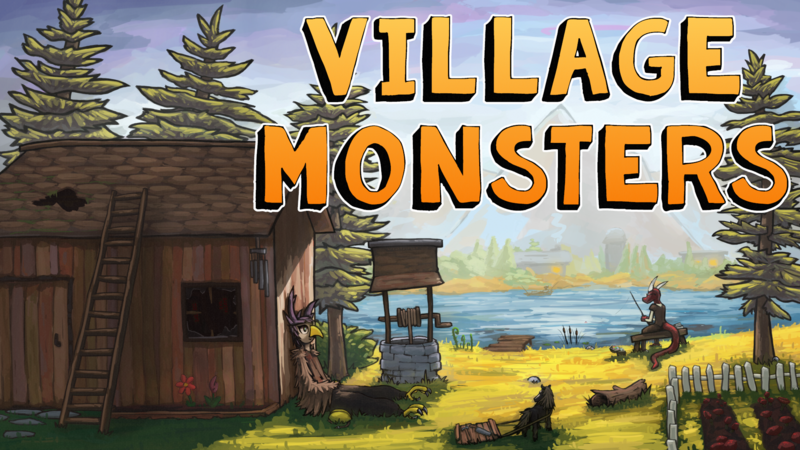 Village Monsters Alpha 1.02 Demo – Out Now! No full moon? Big deal! I can release a new demo whenever I want, and that's exactly what I've done! Ok, so this is just Alpha 1.02 which still contains the core features of Alpha 1, but it also includes some much-needed bugfixing, polish, and even a few new features! As with Alpha 1, it comes with the usual warnings: there's plenty of missing content, placeholder features, bugs, and more. If you haven't heard yet, there is a Kickstarter coming for Village Monsters tomorrow, September 12th. As such, this very well might be the last public pre-release demo. All Kickstarter backers at a certain tier will continue to get these free demos every couple months, but if that's not for you, don't fret - a final public demo will be released before the game in October 2018! Fixed an issue with the abandoned house registering as "indoors"
Added indoor lighting to some houses that lacked it. Sorry for leaving you in the dark, villagers! Grass has been added to the base of trees to make them more...uh...natural? Fruits have been turned into cubular shapes. I don't know why.